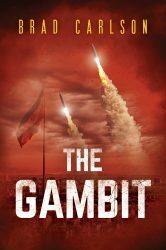 Bradley T. Carlson – The Gambit – An international thriller about Iranian nuclear ambition and retribution! Are U.S. Troops simply “redeploying” from Syria? Last week, President Trump stunned many with the announcement that he’d be withdrawing all of US forces from Syria. Many, if not most, in Trump’s national security establishment were taken by complete surprise and both Secretary James Mattis and Brett McGurk, the US envoy to the anti-ISIS coalition, abruptly resigned. However, word is out that the US might have just as recently established two new bases in western Iraq. As described in the Globalsecurity.org article, one of these bases appears to be somewhat east of the strategic base currently occupied at Al-Tanf. Another looks to be about 150 kilometers east, southeast of Al-Tanf. If these are indeed, two new bases, Trump could be simply taking a page out of President Reagan’s play book when he deployed the Marines to Beirut. After the 1983 bombing, Reagan indicated that he was simply redeploying the Marines off shore. A redeployment of US forces to western Iraq would still sit astride the land-bridge that Iran looks to establish from Tehran to Lebanon–which is crucial from a strategic perspective. However, I’m not exactly sure how secure this redeployment would be for our Kurdish allies–I’m guessing not too secure as the Kurds do not occupy any part of western Iraq. As such, the Kurds in northern Syria would still need to fend for themselves, which remains a very poor showing of support for the best ally we have had in the region in the fight against ISIS. Yes, Turkey is a a key ally of ours but the ones who did much of the crucial fighting against ISIS, especially in eastern Syria, were the Kurds. Even a redeployment, if this is indeed what it is, leaves them in the lurch. Tyler Rogoway at the War Zone has a great article on President Bush’s WWII service, including links to two different videos: one link is of Bush himself retelling of his mission over Chichi Jima where he was shot down and the other is actual footage of his rescue by the USS Finback. Rogoway’s article can be accessed here. My brother sent me a link to this Youtube video this afternoon and it’s just too good not to share. When you open the link and see who the Navy SEAL is, you might think this had something to do with the a recent TV show that aired over the weekend – and you couldn’t be further from the truth. I know he’s a Texan and running for Congress; I just wish he was running in my district! Reuters is reporting, from seven different sources – three Iranian, two Iraqi and two Western Intelligence sources – that Iran is moving short range ballistic missiles into Iraq. It seems that Iran’s war by proxy – which it has been conducting for years with Hezbollah in Lebanon and more recently, the Houti’s in Yemen – is now expanding to include it’s militia allies in Iraq. Iran has provided Hezbollah with literally thousands of missiles over the years and the Houti’s have recently launched many of these same ballistic missiles against the Saudis. While Iran has waged this war by proxy for several years, they appear to be expanding this in Iraq by providing its local allies there with the capability of manufacturing them in Iraq as well. Intelligence sources are claiming that three factories exist: One in in al-Zafaraniya, east of Baghdad, and one in Jurf al-Sakhar, north of Kerbala. They also supposedly have one Iraqi Kurdistan. 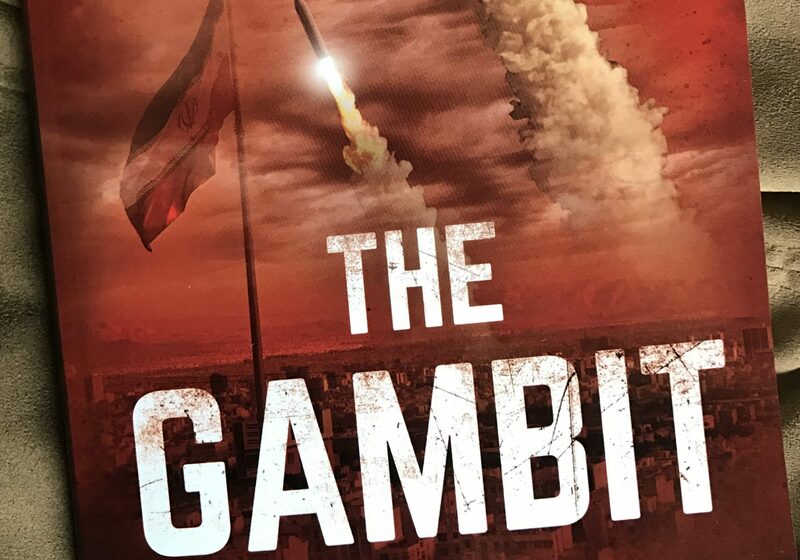 The missiles that Iran has introduced into Iraq have ranges anywhere from 200 km to 700 km – which means that missiles launched from Iraq’s western Anbar province would have the capability of hitting a wide range of targets, from Riyadh to Amman, Jordan; and Jerusalem and Tel Aviv. An obvious question about all of this is how the Iraqi government could allow this, especially when the US still has several thousand troops in both Iraq and Syria fighting ISIS. However, an Iraqi intelligence source noted that “It was clear to Iraqi intelligence that such a missile arsenal sent by Iran was not meant to fight Daesh (Islamic State) militants but as a pressure card Iran can use once involved in regional conflict.” This source continued: “We can’t restrain militias from firing Iranian rockets because simply the firing button is not in our hands, it’s with Iranians who control the push button,” he said. The militias referred to here are known locally as the Popular Mobilization Forces and they are scattered throughout Iraq. Those PMF groups that have a strong Shiite contingent have a fierce loyalty to Iran and it’s Quds Force leader, General Qassim Soleimani. Not surprisingly, all representatives of the Israeli government declined to comment on this. US Secretary of State Mike Pompeo simply indicated that he was “deeply concerned.” Obviously, nothing good can come from this latest development. Word is that Lockheed is pitching an F-22/F-35 hybrid to the US Air Force, a pitch that is not unlike what they have pitched to Japan. This new plane would have similar body style to that of the F-22 and a similar avionics package to that of the F-35. For the Japanese version, reportedly more than half of the plane would built in Japan. In addition, the Japanese would also be footing a large part of the development cost–which, if based on the F-22, could be a huge savings since much of the techs, and specs, are mothballed in the Nevada desert. Costs remain a huge factor. The F-35A is estimated at around $90 million per aircraft in the Pentagon’s latest order. The initial estimates for the F-22 hybrid, based on a total purchase order from both Japan and the US of 140 planes, is something less than $190 million per plane. Currently, the Air Force plan is to purchase more than 1,700 of the F-35s. By contrast, the Air Force only purchased 180 of the F-22’s–a plane which is regarded as the best fighter in the world right now–and it’s technology is approximately 15 years old. However, with Japan reportedly willing to foot a big chunk of the development costs for an F-22 hybrid and if, say 400 of the planes were built–and does anyone really think the Israelis wouldn’t be interested in a plane of this caliber?–the price tag of this plane could drop dramatically. For instance, the Nikkei Asian Review indicates that for 70 planes, the price tag per plane comes in at $216 million; at 140 aircraft, that figure drops to $190 million per order. At 400 aircraft, the economies of scale would be significantly more reduced, and still allow for more than 1,200 of the F-35s. A brief look at the US Air Force inventory over the years is somewhat enlightening: in the ’60’s, Secretary of Defense McNamara ordered the Navy, Marines and the Air Force to purchase the F-4 Phantom with several thousand being built, not only for the US but also for our allies. In the 70’s and then into the 80’s, the Navy flew the F-14 and the F/A-18 while the Air Force flew the F-15 and the F-16. Each plan had it’s own unique features: the F-14 served as the Navy’s air superiority fighter featuring the vaunted Phoenix missile system and the F-15 served the Air Force as the preeminent air-to-air fighter–and to this day, not a single F-15–world wide–has been lost in air-to-air combat. (Indeed, the F-15 is such a reliable aircraft that back in 1983, after a mid-air collision, one Israeli F-15 lost its entire right wing and the pilot was still able to fly and land the aircraft!) The Navy has since retired the F-14, but both the Air Force and the Navy fly aircraft that were state of the art back in the ’80’s! The last F-15 the US purchased was more than 15 years ago. Clearly, the US military has gone with one aircraft for all three services in its history. However, with different mission sets for each service, the flexibility of different aircraft serving those mission sets is clearly needed. Even for the F-35, there are three different versions–one for each of the flying branches, each with its own characteristics. Adding an enhanced F-22 could only complement the Air Force’s F-35A–similar to the way the F-15 & the F-16 complement each other today, both for the US Air Force and, in a way that is on display practically on a regular basis, with the Israeli Air Force. It’ s not getting a lot of press these days but it’s becoming apparent that the Trump Administration will soon need to make a decision on what to do in Syria. The war against ISIS is winding down but the obvious question here is simple: What does victory look like? As you can see in the map above, ISIS doesn’t have much of a foothold left in Syria. Once we’ll have defeated ISIS, then what? Was the US military effort simply to defeat ISIS? If so, the job is almost complete. However, viewed in a more strategic light, US backed forces, that is the Syrian Democratic Forces – read largely Kurds – essentially control that part of Syria north and east of the Euphrates river. Bashar Assad and his Russian and Iranian supporters control most of the rest of the country save a region in the extreme northeast of the country that Turkey and it’s allies control. If we simply state that the US effort simply dealt with ISIS, we’d pull our troops home and leave the country to Assad, and abandon the SDF forces we’ve supported. However, by doing so, the US would then once again leave a power vacuum in the region. The last time we did that saw the rise of ISIS. Pulling US forces out of Syria – currently numbering at least 2,000 Special Forces, and probably many more – fails to acknowledge the geopolitical nature of the Middle East landscape: Iran, and Russia, are currently vying for hegemony throughout the region against the Saudis, and US backed forces, in the region. The Saudis are currently leading the fight against the Iranian backed Houthis in Yemen. Iran, for it’s part, is relying on it’s own proxies, the Houthis in Yemen and Hezbollah in Lebanon, while its own Quds Force/Republican Guards assist Assad. By abandoning the region, the US would play right into the Iranian’s hands, thereby providing Iran their “Crescent” in the middle east, i.e., a contiguous line of control from the Iran/Iraq border, through Iraq, Syria, and Lebanon to the Mediterranean – and ultimately, direct access to Israel. There are no easy answers: Pulling the troops home sounds wonderful, especially for those directly involved. However, pulling them home also abandons the current US allies in the region, the SDF, and most notably, Israel. Yes, Israel can take care of herself, but the US doesn’t need to set the table for the opposition a second time. I’ve been reading Adm James Stavridis’ latest book Sea Power: The History and Geopolitics of the World’s Oceans (you can fine it on Amazon here) and he has an interesting chapter on the Indian ocean. One of the more obvious aspects of this large ocean deals with oil. Once a supertanker leaves the Strait of Hormuz, its in the Indian ocean. From here, the tanker can really only go in two directions: West, towards the coast of Africa, the Red Sea, the Med and Europe, or; East, heading towards India, Indonesia and SE Asia, China and Japan. For those tankers heading East, there are more than a few strategic points the tanker needs to transit. The first point is the Maldives, a string of islands running north to south with the closest island roughly 430 kilometers south, southwest from the tip of India. The Maldives does not currently have a navy that would threaten the transit of any ocean going vessels but both India and China have expressed interest in establishing a naval base there of one sort or another. The next point is the island of Sri Lanka, a large island located off the southeast tip of India. Relations between Sri Lanka and India have traditionally been quite good. However, China has recently tried to make inroads with the Sri Lankan government. Given Sri Lanka’s proximity to India, the Indian government can ill afford any encroachment of the Chinese. The next strategic point, is indeed a true choke point – the Strait of Malacca. To transit this strait, tankers must sail through the narrow five hundred mile long passageway between the island of Sumatra and the Malay peninsula, ending at Singapore. At its narrowest point, the strait is less than two miles wide! As for the commercial importance of this Strait: 25% of the oil from the Persian Gulf transits the strait every year; nearly 100,000 vessels transit the strait every year, which accounts for one quarter of the world’s traded goods! Once through the Strait of Malacca, the tankers would turn north and sail through the South China Sea, and right past the Spratly Islands, something which the Chinese have aggressively claimed as their own. An additional strategic outpost for China lies in the southwestern part of the Indian ocean, the Seychelles. Here, once again, the Chinese are making inroads. In 2011, the Seychelles government offered China a key naval base in the region – something which India will need to address if they hope to keep China out of the region. The ability of one country to exercise control over even a couple of these strategic points could pose a threat to a substantial part of the world. Two hundred years ago, the Indian ocean looked much like a British lake since the British Empire controlled virtually all of the then strategic points in the region – key points in East Africa, the Arabian Peninsula, the Indian sub-continent, and of course, Singapore; today, we need to make sure the Indian ocean doesn’t turn into a Chinese lake. This past Friday, May 18th, a series of explosions rocked Syria’s Hama Airbase in northwestern Syria–an air base in which Iran is known to have a significant presence. These explosions, coming in broad daylight, provide for a great deal of speculation as to the cause. Israeli air raids have generally taken place at night, as would, most likely, an Israeli commando raid. Debka is claiming that this indeed was a commando raid conducted by an as yet unknown group calling themselves Sariyeh Jihad. This group supposedly launched eight missiles at the base, causing a string of explosions, as the photos below demonstrate. In addition, one individual got some stunning pics and videos of the conflagration and can be found here. Syria is claiming that this is an unfortunate accident resulting in the deaths of several troops. It’s interesting to note that earlier this year, a rebel group opposed to Assad launched a swarm of drones in an attack on a Russian air base relatively close to the Hama site. Whatever the case, or cause, of this incident, it does not bode well for the Assad regime. Clearly, if they can’t protect a base such as Hama which obviously stores an impressive amount of explosives and ammunition, it’s no wonder both the Russians and Iranians are sending in their own forces–both to protect their own personnel and equipment as well as supporting Bashar al-Assad. Moreover, if this indeed was the result of a commando attack from this previously unknown group, imagine what an Israeli Sayeret Matkal team could do . . . . This past week, the Iranian Quds force launched 20 missiles at Israeli positions in the Golan Heights and air raid sirens went off in several Israeli communities. This Iranian attack represents the latest in a continued escalation of hostilities since February. Israel, already locked and loaded, responded immediately with their largest response in Syria since the Yom Kippur War in 1973! Israeli Defense Minister Avigdor Lieberman indicated that they targeted “nearly all the Iranian infrastructure in Syria.” In addition, multiple types of Syrian air defense systems were targeted. The Israeli Air Force just released this amazing video taking out an SA-22, Pantsir S-1 point defense missile system which represents possibly the best air defense system Syria has. While the Israelis took out virtually all of the Iranian infrastructure in Syria, Iran still has the capability to launch their own massive response. In southern Lebanon, Iran has supplied Hezbollah with literally thousands of rockets and missiles over the past several years. Obviously, if Hezbollah entered the fray, the IDF would most likely invade southern Lebanon and eliminate this threat. In addition, Iran has dozens, if not hundreds of ballistic missiles they could launch from Iran that could reach Israel as well. Indeed, a leading intelligence source in Israel recently indicated that Iran has higher quality missiles that neither Hezbollah or Syria possess. While the Israelis clearly sent a message with this massive response, the question remains: Did Tehran get the message? We’ll have to wait and see.